Remanufactured Warranty: 1 Year Parts & 1 Year On-Site Labor. 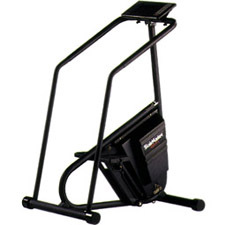 The legendary Stairmaster® 4000PT is the original design stepper, made by the industry-leading manufacturer of steppers. The independent step action offers the extra wide "sweet spot" that makes the Stairmaster® so effective and enjoyable to use. It offers a wide range of exercise options to provide constant motivation and challenge for everyone regardless of age or fitness level. The speed control buttons allow for an increase or decrease the stepping speed at any point during the workout. 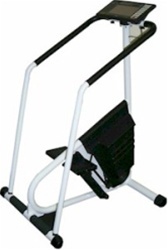 This unit is the most commonly found stepper in gyms throughout the US and is therefore the "Industry Standard Machine"
Refurbished product inventory changes frequently. Call for details on availability and pricing.